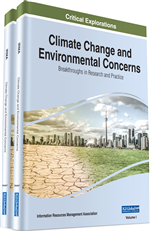 International collaboration and research funding in Sea Level Rise (SLR) research are investigated in this chapter. SLR can be taken as a paradigmatic research area to study the international scientific collaboration and research funding efforts because it is affecting the whole planet and is an interdisciplinary research area involving disciplines belonging to the geosciences but also the life sciences, technology sciences, and social sciences. The aim of the chapter is to identify the main stakeholders in the topic, institutions, and countries; analyze overlapping efforts; identify possible research gaps; and to study the role played by the funding agencies. Bibliometrics and a social network analysis approach are applied. Co-occurrence networks of keywords, affiliations, and funding agencies among scientific papers in Thomson Reuters' Web of Science Core Collection in the SLR topic are analyzed. Conclusions show that international scientific collaboration is common in SLR, but international co-financing is less frequent. Data sharing is first step in scientific collaboration. This is particularly true of research carried out on large-scale facilities and when research questions demand not just single experiments but rather sequences of them, which is very common in the geosciences. The experiments undertaken in these facilities are of growing complexity and are expected to soon produce a “data avalanche” (Bunakov, Jones, & Matthews, 2015, see chapter 7 this book). In the geosciences there are many initiatives in order to share data, e.g. : PANdata (http://datapublication.tge-adonis.fr); Dataverse project (King, 2007); and ESSD journal, all in.